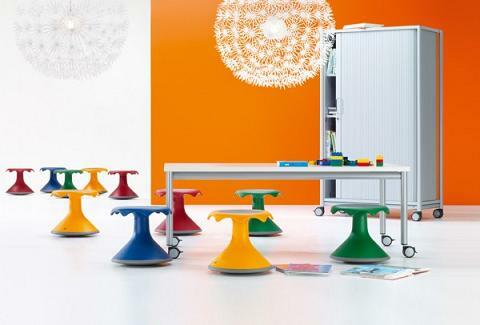 This is an ergonomic stool that transforms stationary sitting into an activity. It is the perfect chair for an active child. Stable and durable but also extremely light it, and allows movement in all directions....and because it is a stool, you can't 'cheat' and lean back as one does in a chair. Please ring the clinic number to check availability and to discuss pick-up.